Our economy is in crisis. Millions of people cannot meet basic needs despite the production of more material wealth than at any other time in human history. From an ecological perspective, constant economic growth is stripping the earth of raw materials and polluting vast areas with consequences on a planetary scale. To survive -- and to live equitably -- our economy must be brought under democratic control and made to pay off its ecological deficit. In many communities and industries, cooperatives are a way to bring parts of the economy under democratic oversight today. The fundamental structure of co-ops -- one member, one vote; open membership -- can help ensure that economic activities benefit workers and communities, and not just investors. Because they are controlled by people who participate in them and not just shareholders looking for the best profit margins, cooperatives make it much easier for those who run them to take a long view of sustainability when we make economic decisions. Where corporate cod fisheries wiped out stocks, fisher's co-ops catch enough for members to make a decent living, and preserve the resource they depend on. Where forestry companies boom and bust based on market prices and a raw-material export model, forestry co-ops find ways to add value, lower cut rates, and reinvest profits in communities. 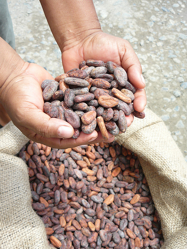 Fair Trade cooperatives use sustainable practices, pay farmers a higher price, and reap significant environmental and social benefits. Worker-run co-ops in manufacturing and service sectors of all kinds provide better working conditions and higher pay by ensuring that the people who create the value in the business get to decide what to do with that value. Housing co-ops provide affordable dwellings to thousands of Canadians, despite major cuts to government funding for new developments. Social co-ops provide an innovative approach to meet pressing social needs in areas like home care, day care, and employment for people with disabilities or other social disadvantages. In Quebec, where the co-op movement is the strongest in Canada, cooperatives have been shown to last much longer than traditional businesses, providing longer-term, stable employment while benefitting communities. It's hard to imagine a sustainable, equitable society that doesn't have co-ops playing a major role -- if not a dominant role -- in the economy. On the ground, co-ops are not a perfect solution. Some financially successful co-ops adopt the values of their corporate counterparts over cooperative principles, diminishing their value to their members, communities and the co-op movement. Some consumer co-ops have bad labour practices or environmental records. Some large worker co-ops stray from their principles and create subsidiaries that are not themselves worker-owned. The gap between co-op potential and co-op reality means that it is all the more important for sucessful co-ops like MEC to set an example for everyone, and contribute to building a cooperative culture. To be clear: I'm not proposing anything new. I only want MEC to fulfill its obligations under its own operating principles. With new proposals, cost is always an issue. I've divided my proposals into low-to-no-cost and reasonable-cost categories. Some products that MEC carries are manufactured by co-ops in Canada and abroad. There are many cooperatively produced items that MEC should carry. These items should be accompanied by a display that tells the story of the co-op that made the goods, connecting members to the positive impacts of purchasing a co-op product. Each MEC store could feature a board that listed small ads from co-ops operating within a 200km radius. MEC could also sponsor an annual mailout to members in a region, featuring promotions from local co-ops, priced on a cost-recovery basis. 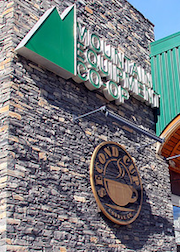 Some MEC outlets have Second Cup or other non-cooperative coffee chains attached. A step in the right direction would be to call for proposals from groups wanting to start worker co-ops for all new MEC locations. Co-op proposals should be prioritized, and training and support could be offered on a long-term cost-recovery basis in partnership with local co-op developers. Naturally, such cafes would serve goods from co-op bakeries, fair trade chocolate and coffee, and so on. The ideas in the previous section could be done at a very low cost. What if MEC wanted to take its commitment to supporting co-ops to the next level? Here are some ideas. Many workers would like nothing more than to co-own their own business. Of the barriers to starting co-ops, finding financing is one of the largest. MEC could establish a pilot program to provide grants to existing co-ops, and financing at advantageous rates to expand their own capacity and manufacture products for MEC customers. Eventually, MEC could help start up new co-ops to produce MEC products. Co-ops provide a way for people to address needs that they collectively identify, regardless of whether these needs represent an immediate potential for profit. But how do communities identify their collective needs? One in ten Canadians are on MEC's mailing list. MEC is extremely well-placed to bring people together to identify their needs, and provide resources to bring new co-ops into being to address those needs. Is there a need for housing co-ops? Green retrofit worker co-ops? Food co-ops? Bring people together to find out. As one of the most publicly visible co-ops, MEC is well placed to make 2012 (declared "year of the co-op" by the UN) a success. By taking a leadership role in raising awareness about co-ops, MEC would also benefit from the positive attention directed at the international co-op movement in 2012. Given the economic and environmental crises we face, strengthening co-ops and building a cooperative culture is more important than ever. 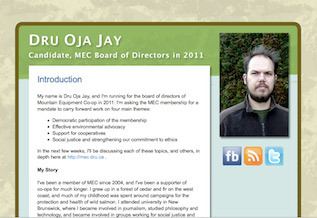 As a board member of MEC, I would work with other members of the board to set ambitious but achievable goals for support of co-ops and co-op principles by the end of 2012. We are fortunate to have a massively successful business like MEC that doesn't need to be convinced -- which is already committed to cooperative principles. All that remains is to help our co-op realize those principles and make them more meaningful in the day to day. Want to help out with the campaign? Click here for more info.